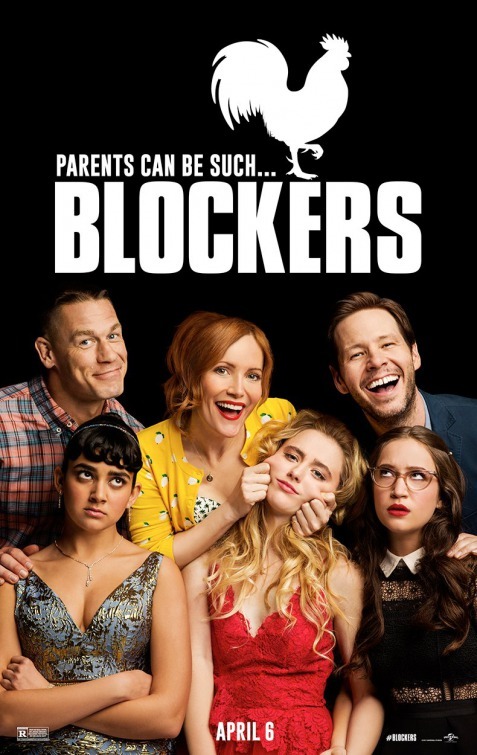 We're happy to offer our DC readers the chance to attend a free advance screening of the new comedy Blockers, starring John Cena, Leslie Mann, and Ike Barinholtz. SYNOPSIS: When three parents discover their daughters’ pact to lose their virginity at prom, they launch a covert one-night operation to stop the teens from sealing the deal. Leslie Mann (The Other Woman, This Is 40), Ike Barinholtz (Neighbors, Suicide Squad) and John Cena (Trainwreck, Sisters) star in Blockers, the directorial debut of Kay Cannon (writer of the Pitch Perfect series). The screening takes place on Tuesday, April 3rd at 7:30pm at AMC Mazza Gallerie. If you'd like to attend, simply complete the required steps in the Rafflecopter contest form below. Winners will be selected on Friday, March 30th and notified by email. Good luck! Blockers opens on April 6th.